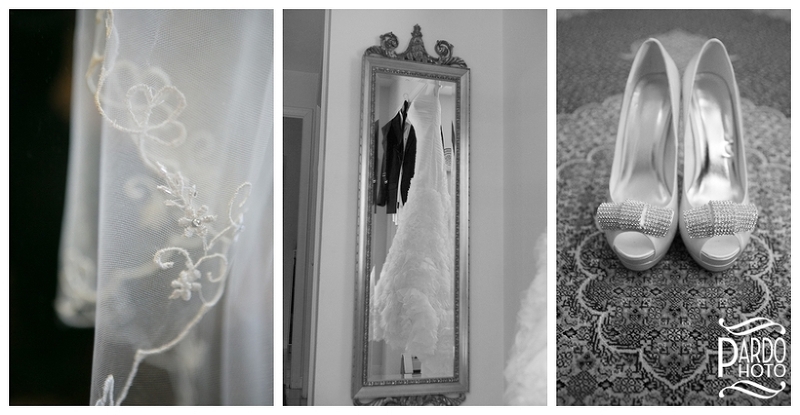 On May 25, 2014, I was so honored to be able to photograph Lily and Navid’s wedding at the Irish Cultural Center in Canton, MA. After hearing this beautiful story, I was so excited for their wedding day, and it did not disappoint! My second shooter, Brian Malloy, and I arrived a few hours before the ceremony at Navid’s house where everyone was getting ready. The atmosphere was hectic but full of love. 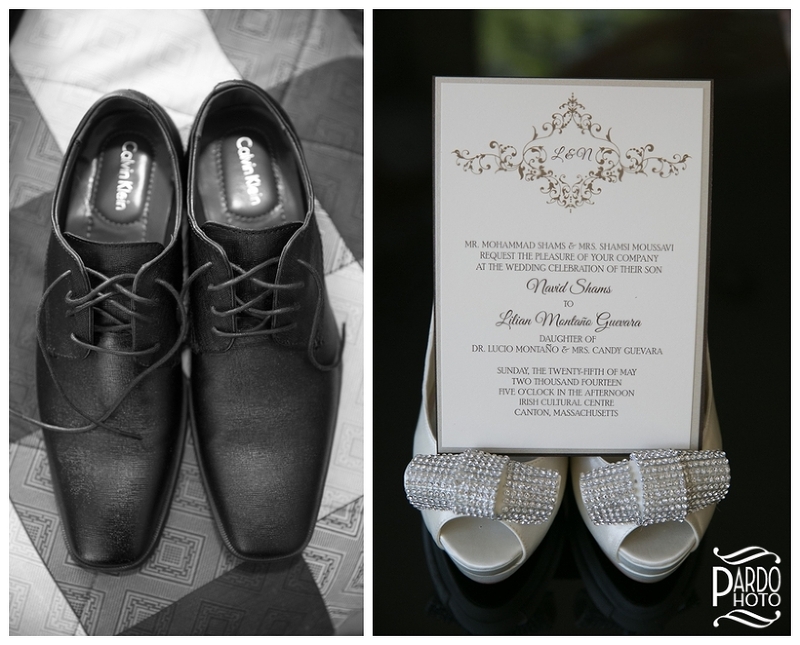 The groom was completely calm and wonderful while the bride was getting ready. Lily & Navid were married in a civil ceremony in Boston a few months ago, the bouquet below is from that first special day. It took a little longer than expected, but the couple managed to avoid seeing each other until we arrived at the Irish Cultural Center. There we did a first look and Navid finally got to see Lily in her dress. They shared a wonderful moment, and we proceeded into the ceremony. The center of a Persian wedding ceremony is a decorated silk cloth that is the backdrop for what is called the “Sofreh-ye Aghd.” The word “Sofreh” means “spread,” like a table or food spread, and appears in many Persian celebrations. – Gold Coins (sekeh) to symbolize wealth and prosperity. The ceremony was fascinating! It began with a reading in Farsi during which women held a cloth over the bride and groom’s head while other happily married women rubbed two pieces of sugar together to sweeten the new couples’ marriage. The reading was again repeated in English and yet again repeated in Spanish so as to include everybody at the reception. After that, everybody began to dance behind the bride and groom while they stayed seated at the “Sofreh.” Gifts were given in the form of rings between the bride and groom, and the groom’s parents gave the bride a gift (a necklace, bracelet and ring) welcoming her to the family. Next, the bride and groom fed each other honey. I absolutely loved the way the celebration was integrated into the ceremony. After the bride and groom were pronounced husband and wife, everybody started dancing behind them! It was awesome. After the ceremony and group dance was done, the bride and groom enjoyed their first dance alone. They looked so happy! I loved the way they were only looking at each other during that moment. After a few minutes, everybody joined in, and the party really got into full swing! A little bit later, we took the bride and groom out for family photos. Navid was so excited to be married to Lily that he held her hand on one side and cheered with Lily’s bouquet overhead on the other. I thought it expressed his feelings perfectly. We then took the couple off to the side for their own portraits. Afterward, we came back to the reception, where the crowd was still dancing right up until they had to sit for dinner. After dinner, the bride and groom cut the cake, but not before the knife dance. A knife dance is a tradition where the best man dances around the cake holding the knife until he is paid by another guest. That guest then takes the knife and dances around the table until she is paid by yet another guest. This went on for a few minutes until the bride and groom were awarded the knife and cut the cake. It was a new cake cutting tradition for me, and it was a ton of fun to watch! The DJ didn’t stop all night. The music was fantastic, and the dance floor was packed the entire time. The bride and groom were so very happy, and everybody had a fantastic time. I was asked to photograph Navid and Lily’s wedding because I had been Navid’s photo teacher at Thayer Academy. As a result, we have a long history, and it was a great honor to be included in their celebration. I was also fortunate enough to see other Thayer alumni and celebrate with another faculty member who happens to be Navid’s aunt. The whole mood of the day was one of support, celebration, and inclusion. To have such different cultures come together and blend is an incredible thing. English, Spanish, and the Persian language of Farsi were spoken all night, and I reveled in the conglomeration of cultures. 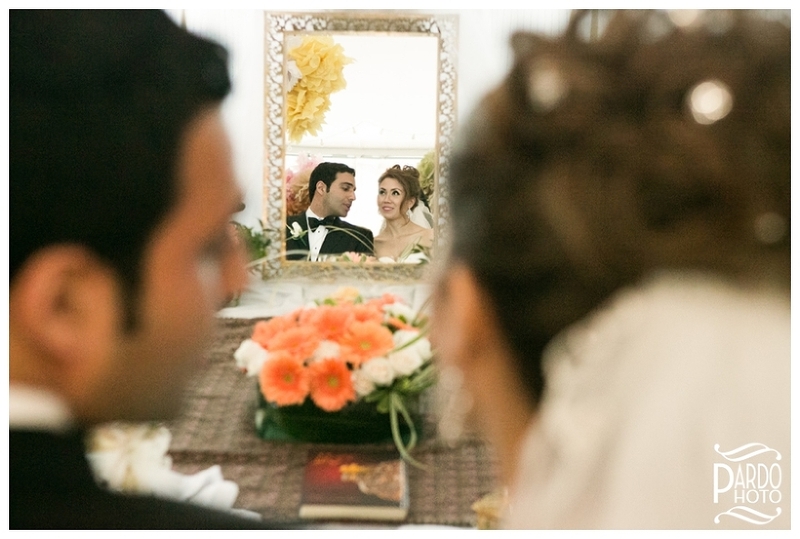 It was my honor and privilege to photograph the celebration of Lily and Navid’s marriage. Having taught Navid in high school, it is so satisfying to see him succeed in life. He has become an incredibly patient, compassionate man, and I am so happy to have been able to witness it. I wish Lily and Navid a happy and fruitful life!